What are you DOING? 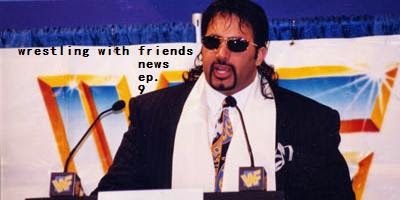 Put those pictures away, and listen to some REAL wrestling talk—only here, on Wrestling With Friends! We know you don't watch wrestling, read wrestling news or follow wrestling social media, and that's why we're here to keep you "a-breast" of the wrestling world so you can stay "a-head". We also introduce the very first "Book Your Bust" segment featuring all 3 Friends taking on assigned wrestlers and booking them to stardom. If it's a success, we may just possibly do it again! Maybe. Final Song - Daler Mehndi, "Tunak Tunak Tun"